Hosting Thanksgiving at your house this year and need something last minute to fancy it up? 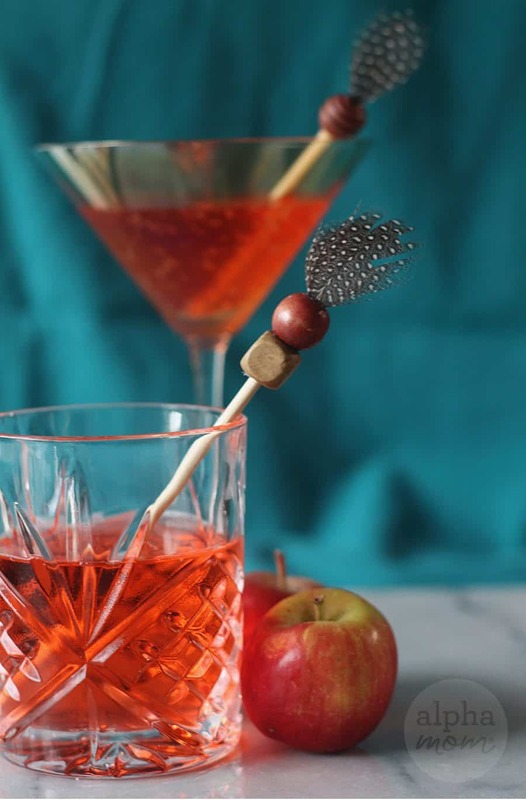 How about a pre-dinner cocktail (or just something fizzy but non-alcoholic) with a custom drink stirrer to get your guests talking? We’ve got a great DIY craft that literally takes minutes to make and will add just a touch of class and originality to your soiree. This craft is so easy! Seriously. First, you need to do is cut your skewers down to 4 inch segments (longer for taller glasses) with some strong scissors or (clean) garden clippers. 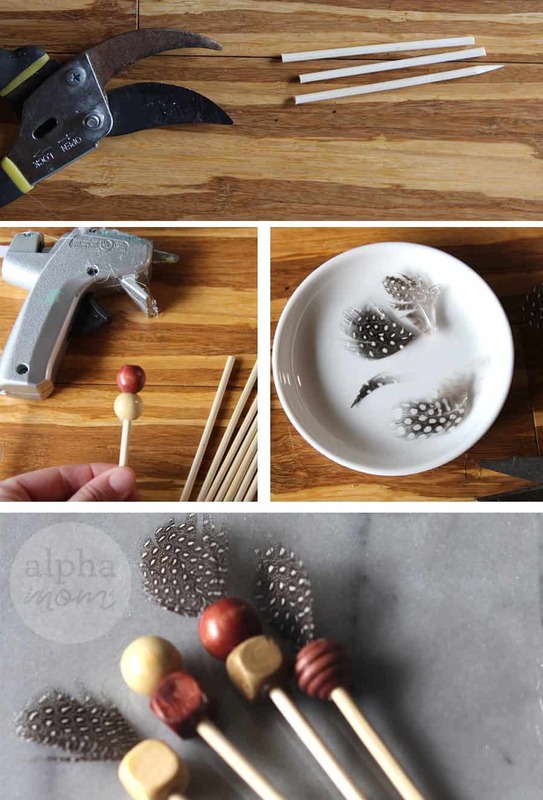 Then squeeze a little bit of hot glue inside the hole of a wooden bead and stick it on the end of your skewer segments. 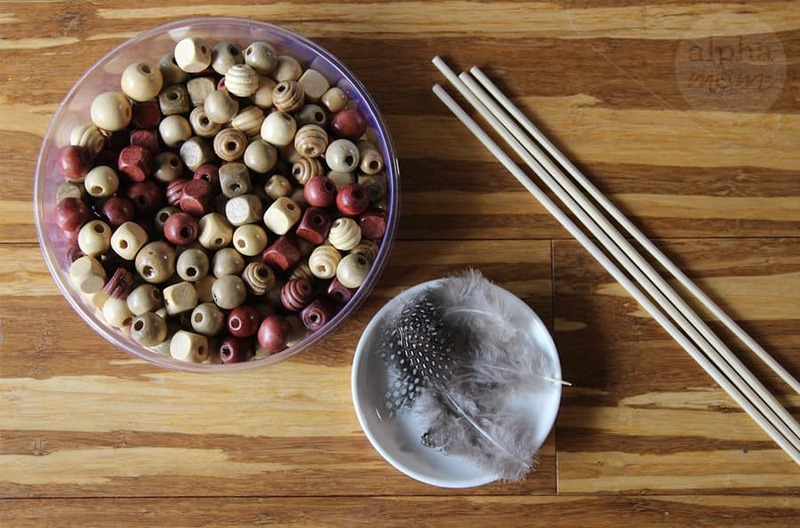 Add one bead or two but not more than two because that will make your stirrer too heavy. Then add a dab of glue to the top and poke a feather in! I trimmed my feathers down to make them cute and little but you might not need to. 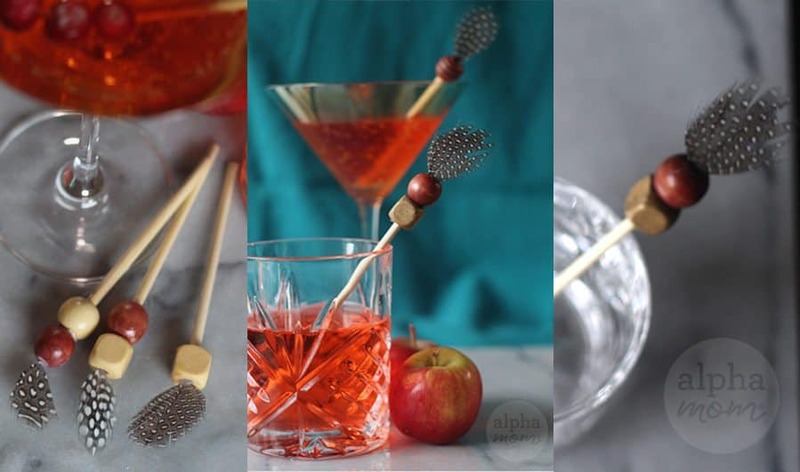 You can even make each drink stirrers unique with different combinations of beads and feathers so that guests can use them as markers to remember which glass is theirs! Or package up a dozen and give them as a gift to your favorite cocktail-loving friend! They’ll think you spent hours on them!